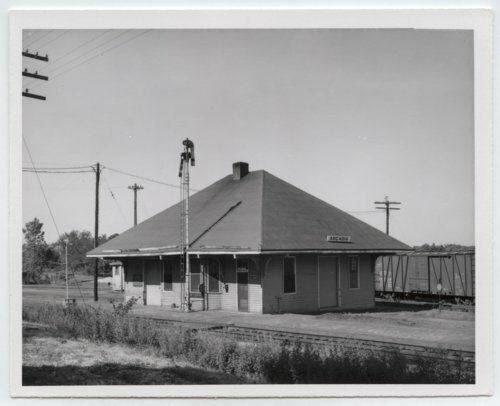 This photographs shows the St. Louis-San Francisco Railway depot in Arcadia, Kansas. The one-story wooden structure was part of the Northern Division, Ash Grove & Parson Sub. Division at milepost 115.5. The depot is no longer standing.